(Arriving at my residence just recently was a package from a Neice. That gift contained several rare photos. Some family, friends, and those who chance upon these jewels might enjoy them and captions that accompany each one. I'm George Harold Fulks, and I'm sitting behind my home computer. Best wishes to all!! 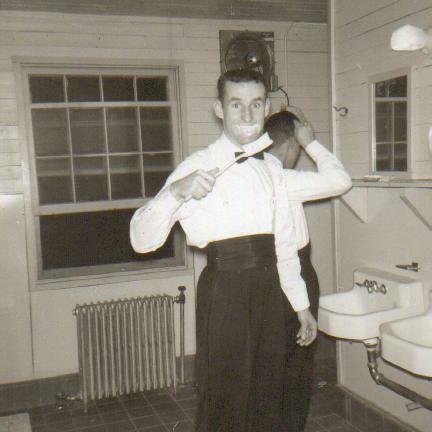 One of my U.S. Army acquaintenances from 1964 was Martin McGuire who is brushing his teeth with an oversized brush. Those people from the large cities were really wonderful people, and so was Marty. In thinking of backgrounds that are contrasting and diversity among a nations' people, here I was_george harold fulks. 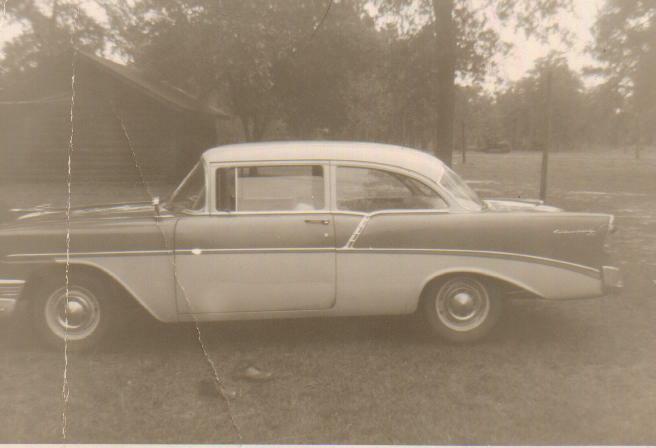 I was into 1941 or 42, and I made a very humble beginning in the backwoods of western Kentucky. 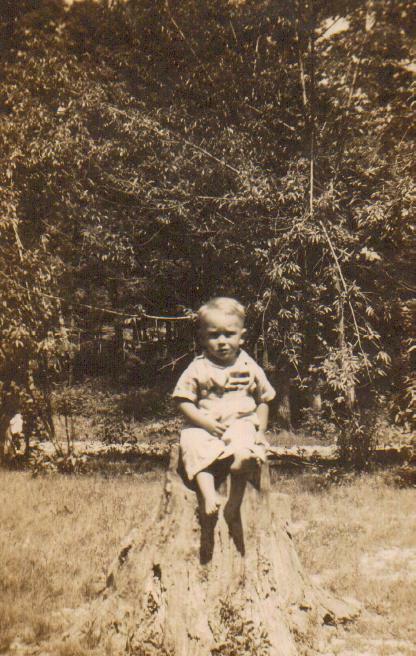 There I sat on a stump near Star Lime Works and less than one mile from the eastern edge of The Tennessee River. 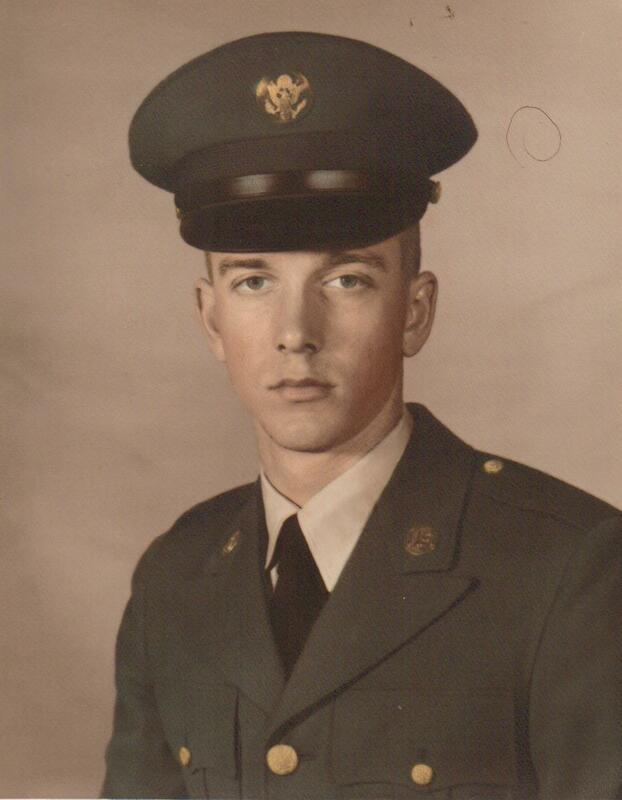 In a sense, experiencing basic infantry training during spring of 1962 was one of the first hints to me that life was to be more of a task and less fantasy. The U.S. Army was a rude but needed awakening to reality. Fort Gordon, Georgia and its cold spring mornings and its sultry days. 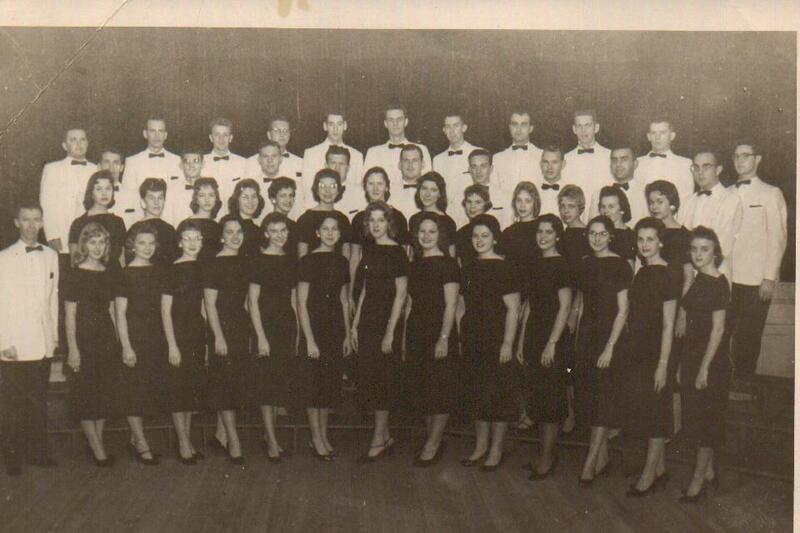 Standing competently are The Troy State College Collegiate Singers of which I was a freshman member during 1958-59. Led by Charles Vernon Farmer, then head of Troy's music department, I was studying trumpet and minoring in English. Bobbi Baker, a piano, vocal, and music major was someone with whom I was in love for a time. Bobbi had "perfect pitch," and we needed no tuning bar to find middle C. I was jealous. My "pitch" was defined by Dr. Farmer as "relative." 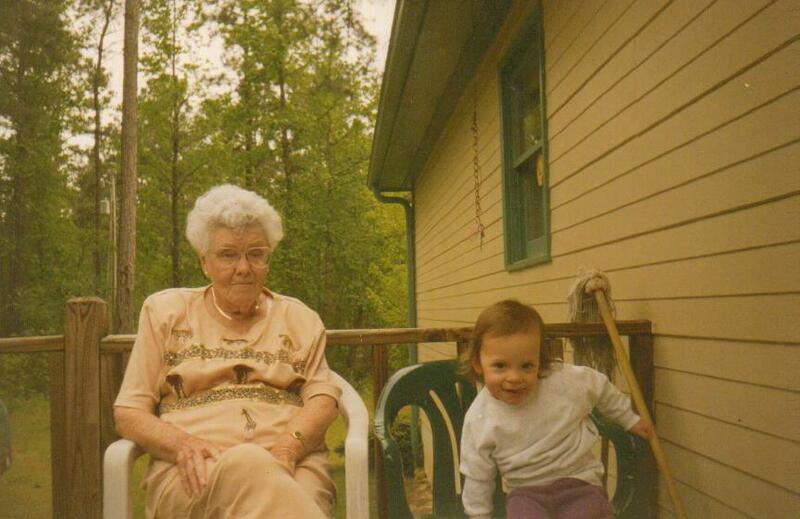 My mother, Ella Belle Fulks and a child unknown to me, at her home near Juliette, Georgia. No, my mother was a Kentucky native, born and raised near Soldier in the eastern sector. Royalty refused to enter that area. 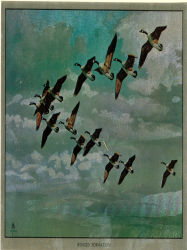 There were backwoodsmen, timber cruisers, railroad crosstie makers, farmers, coal miners, hunters and trappers, etc. Neither the Fulks or Abbotts were of royal origin. 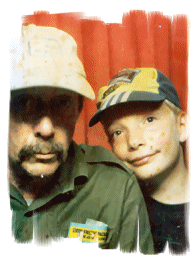 My dad, R.I. Fulks, was an avid fan of Tennessee Ernie Ford. 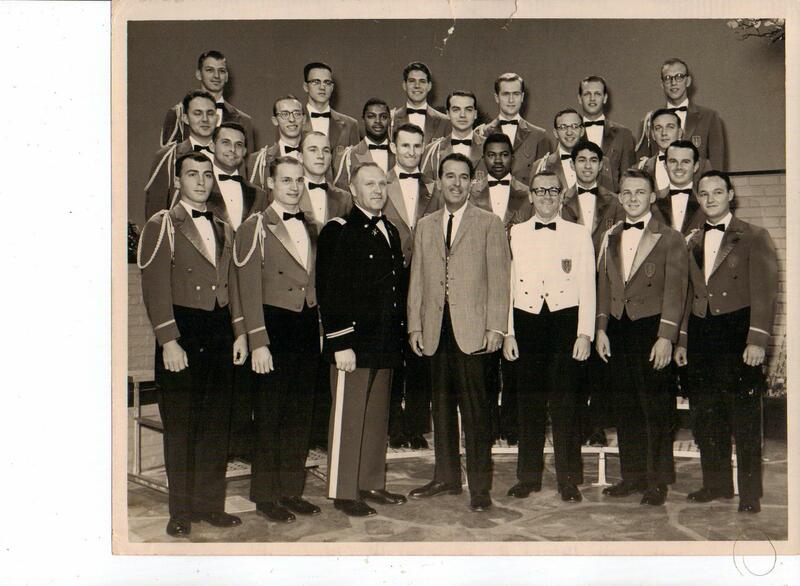 Our choral group had the pleasure of appearing on Ern's Thanksgiving Day Show in either 1963 or 64. We found Ern to be an easy going and natural personality. To watch Ern's show, my dad would take a couple of hours off from his construction work so as not to miss Tennessee Ernie Ford.